Enjoy the excitement of Rhode Island deep sea sport fishing with Captain Steve Palmer. Welcome aboard the Lucky Lady sailing from Point Judith RI our home port. We specialize in Trophy striped bass, bluefish and fluke fishing. Customer service and personalized attention to detail makes your adventure on the water unforgettable. All trips can be customized, call Captain Steve and book your charter today! 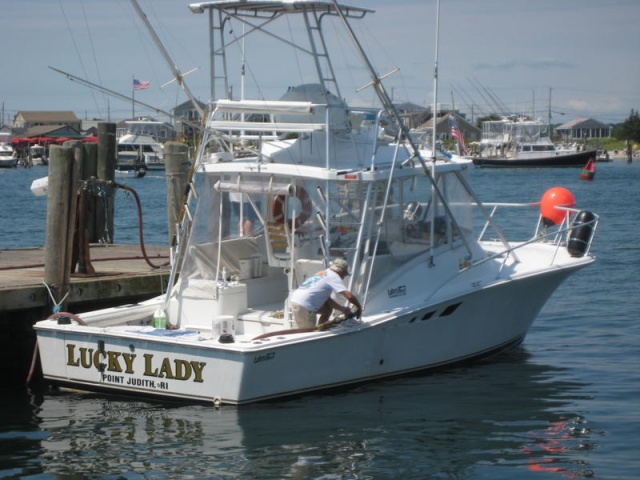 Come visit the beautiful waters of Block Island aboard the world famous "Lucky Lady". Block Island Striper Fishing at it's Best! Good striper from my honey hole sat morning 8 am, 45 inches.Largest so far this year.